Colonies usually last only one year, with all but the queen dying at the onset of winter. Wasps need a lot of energy to continue to fly around gathering material for the nest and food for the larvae. They get this from gathering nectar from flowers and eating sweet, rotting fruit at the end of the Autumn.They also feed caterpillars and flies to their young. As this food source starts to disappear the adult wasps start to die off. New queens and males (drones) are produced towards the end of the summer, and after mating, the queen overwinters in a hole or other sheltered location, sometimes in buildings. 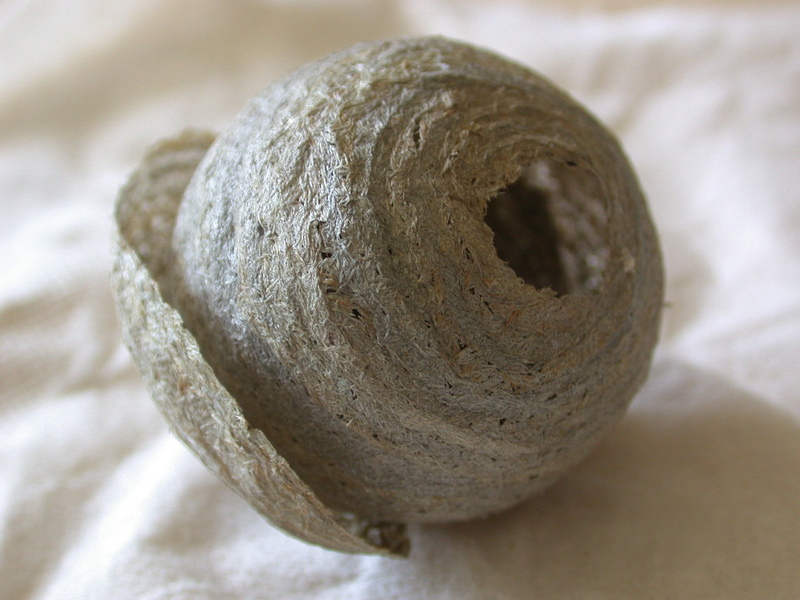 Wasp nests are not reused from one year to the next as they are too fragile and many would not last the winter. Many people are not very keen on wasps and even question their reason to exist. So what is good about them? Well, they are pollinators, so they are very important for the production of fruit and vegetables, they act as pest controllers, eating lots of flies and sometimes spiders and they provide food for a range of other animals such as badgers, mice, frogs, birds and weasels. And consider this..... they won't actually sting you unless they feel threatened or are attacked so.... next time you see them just watch their behaviour and take a closer look at these amazing creatures for they may just be a swift or a frog around the corner looking for it's next meal.